Brushing teeth daily is extremely important, as oral and dental health is directly linked to overall health. However, some people, such as the elderly with weak muscles or those with disabilities in the upper limbs, have a difficult time brushing teeth on their own. The newly developed toothbrush enables such people to do so with no or minimal assistance. 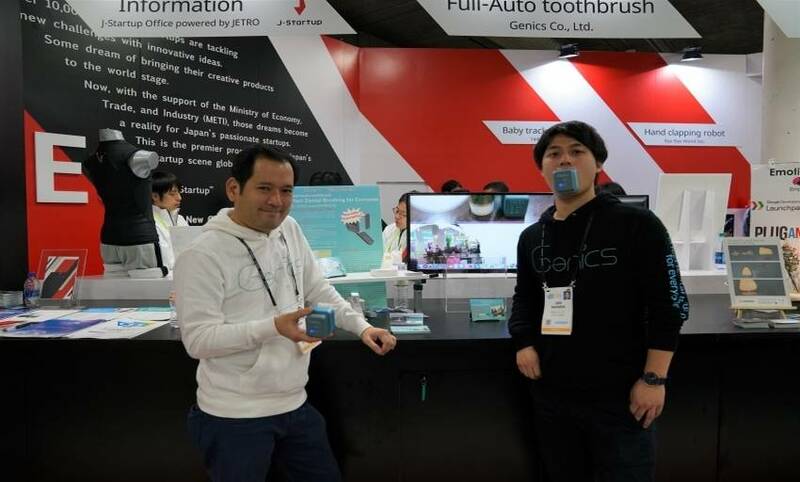 Professor Hiroyuki Ishii of the Faculty of Science and Engineering at Waseda University and Genics Co., Ltd. developed a fully-automatic, mouthpiece-type toothbrush. To keep teeth healthy and shiny, all user would have to do is put the toothbrush in the mouth and let it do the work, without having to make the brushing motion. Robot technology, human-centred design technology and system integration technology are all applied to this automatic toothbrush. 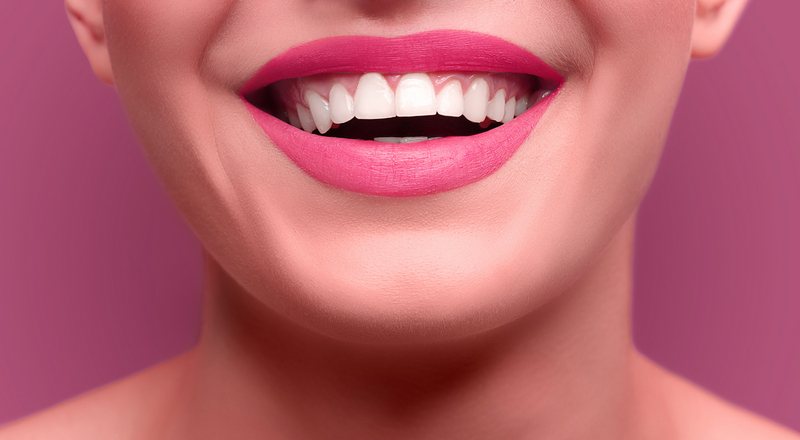 The bristles for removing dental plaque, planted in the mouthpiece, are powered by small motors and move in an up-down, side-to-side motion along the teeth. The mouthpiece is designed so that the bristles hit the teeth’s entire surface, so not only does this save time but also enhances efficiency. In fact, the plaque removal rate was equivalent to brushing your teeth manually. There are three types of bristles: nylon, silicon, and sponge. The user can select the type of bristle depending on their teeth’s condition and change modes such as its brushing time, speed, and motion. In addition, a brushing log on the user’s brushing habit will be sent to an application so that the user’s brushing habits can be monitored. Professor Ishii hopes that this toothbrush will promote better oral and dental health among its users as well as ease the responsibilities of caregivers who care for the elderly or those with disabilities. He and Genics will proceed with on-site demonstration tests and improve on the product to make it more user-friendly for test marketing planned within the 2019 fiscal year. 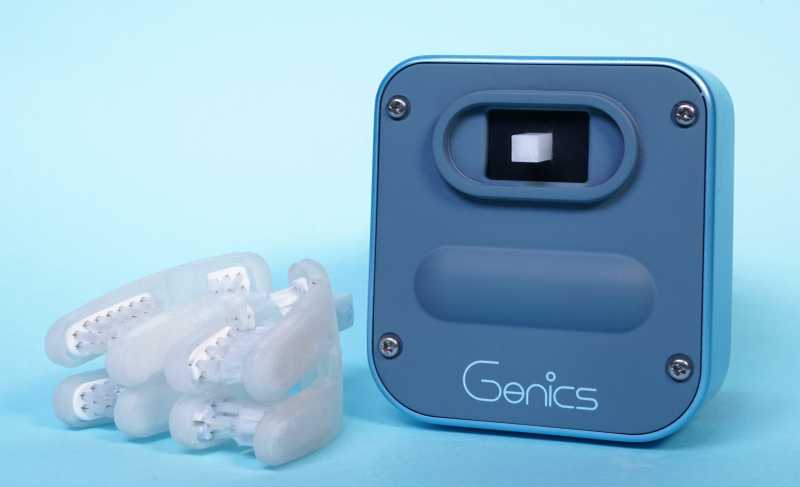 Further, Genics is a spinoff company, which was established as a result of Gen Sakaeda the CEO & founder of Genics who was a graduate student at Waseda at the time, enrolling in the WASEDA-EDGE Global Talent Development Program. It is possible to say that this collaborative research is the result of robotics research and entrepreneurship education at Waseda bearing fruit. Company name: Genics Co., Ltd.